heavyweight, somewhat stiff cotton fabric which is produced in five-end weft satin weave with a closer sett in the weft. Its back is combed; its face tends to be printed in a striped pattern. Used for workwear. 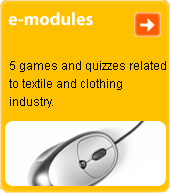 The importance and application of this type of fabric has been in decline in recent years.